Hello! 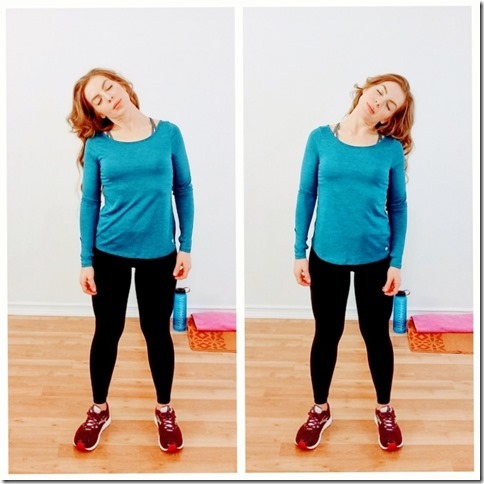 It’s Day 2 of the Stretch Challenge… today’s move is a neck stretch. It’s very simple but feels so good! This is another easy stretch – and I love this one because I need some major neck stretch action. I’ve been super tight in my neck and shoulders lately. I think it’s from life stress (even though I really try not to worry – I’m just tense). Your neck can get tense from bad posture and/or sitting looking at the computer or phone all day. And some runners scrunch up their shoulders towards their ears and get really tight while running. Keep this in mind and relax your head, neck and shoulders while running. Then, do this neck stretch after. Neck Stretch: After your workout or run – stand tall looking ahead of you. Drop your head to the right side… breathe and relax into it. You should feel the stretch down the left side of your neck. Repeat on the opposite side. Center yourself and drop your head to the back and to the front. Repeat on the left and right sides. Try to stretch each side for 15 seconds. Relax back to center and repeat. 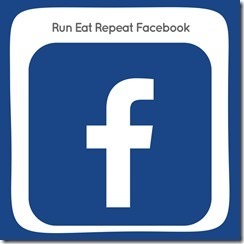 Follow the Run Eat Repeat Facebook Page and Run Eat Repeat Instagram for a LIVE video check in. 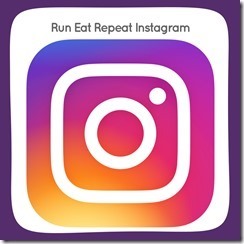 Leave a comment with your workout for today on the Run Report – a daily check in I post everyday on Instagram. 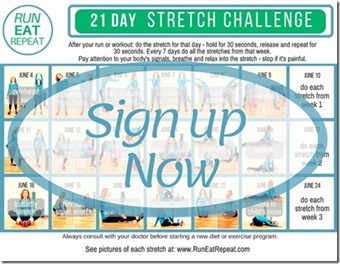 Get the 21 Day Stretch Challenge Calendar here! Is it common to notice that your shoulders and neck muscles are tensing up as you’re running? That’s the case for me, and I have to constantly be attentive to it to relax it down. Rest day but did the stretching. Thanks for the reminder to stretch. I need it!